The indicator is an interpretation of the Average Directional Movement Index (ADX) allowing you to determine if there is a price trend. 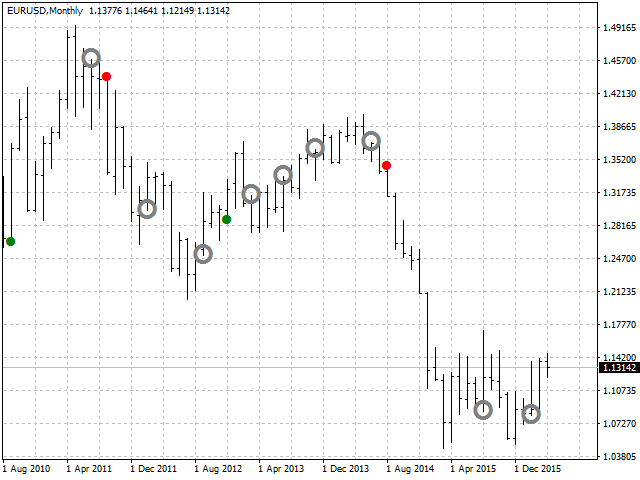 It was developed by Welles Wilder and described in his book "New concepts in technical trading systems". 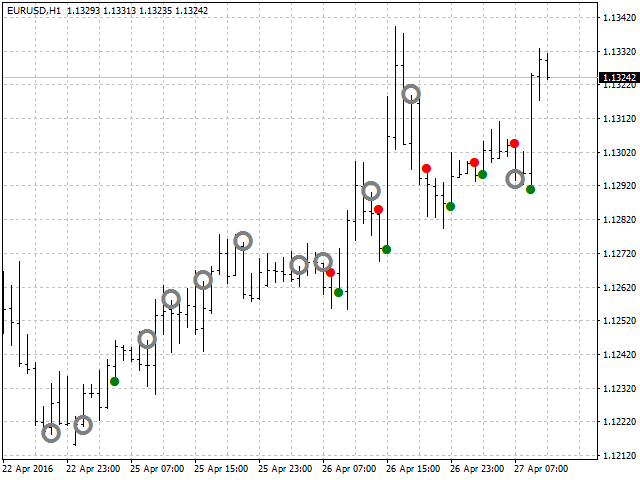 The simplest trading method based on the system of directional movement implies comparison of two direction indicators: the 14-period +DI one and the 14-period -DI included into ADX. W. Wilder recommends buying when +DI is higher than -DI, and selling when +DI sinks lower than -DI. 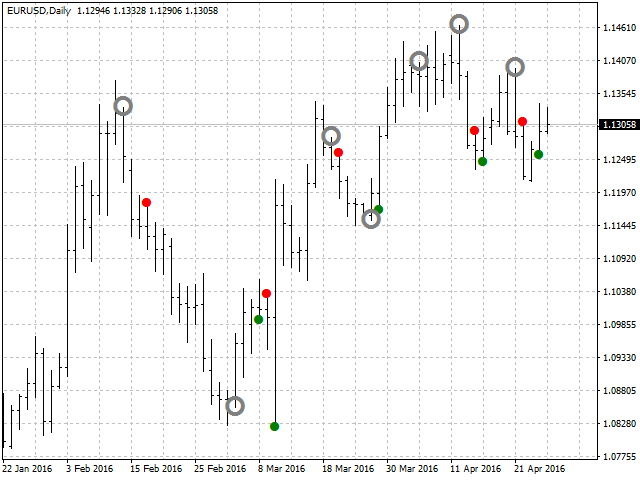 To these simple trading rules, Wells enhanced by the "rule of extremum points". It is used to eliminate false signals and decrease the number of deals. According to the principle of points of extremum, the "point of extremum" is the point when +DI and -DI cross each other. If +DI raises higher than -DI, this point will be the maximum price of the day when they cross. If +DI is lower than -DI, this point will be the minimum price of the day they cross. The point of extremum is used then as the market entry level. Thus, after the signal to buy (+DI is higher than -DI) one must wait till the price has exceeded the point of extremum, and only then buy. However, if the price fails to exceed the level of the point of extremum, one should retain the short position. The indicator shows signals on the price chart when +DI и -DI intersect and when an ADX value rises or falls relative to the +DI и -DI positional relationship. 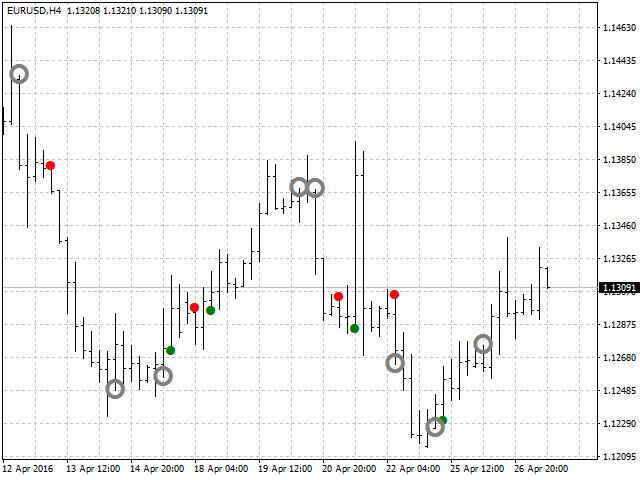 When a signal of +DI and -DI intersection appears, it is recommended to place a buy or sell pending order for the asset at the high (taking spread into account) or at the low of the bar, on which the signal appeared. If an ADX fall signal appears when there is an open position, it is recommended to place a pending order to close the position at the high (taking spread into account) or at the low of the bar, on which the signal appeared. It can also be useful to use the ADX rise/fall signal in the direction of a long-term trend to open a position. This indicator does not redraw and backpaint. Added settings and automatic replacement of incorrect settings. Improved display, added gradation of signals, added a short description to the indicator code. Simplified selection of the indicator calculation price. Only one signal display option is included in the basic settings.